In September 2017, as part of an ongoing plan of reformation, Saudi Arabia’s Crown Prince Mohammed bin Salman issued a decree to lift the ban on women driving in the middle eastern nation. On Sunday, the ban was officially lifted. 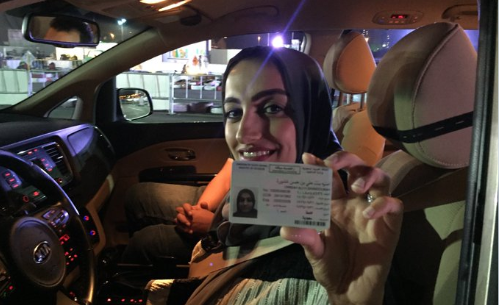 Social media has been flooded with photos and videos of Saudi women driving freely for the first time, and according to Saudi Arabian Ministry of Interior spokesman Mansour Al-Turki, over 120,000 women have submitted applications for licenses. Over the last decade, a small number of Saudi women continued to pursue reforms, publishing videos of themselves driving. Such videos led to severe consequences. Amnesty reports that in 2011, “some were arrested and others were forced to sign pledges to desist from driving. At least one woman was tried and sentenced to 10 lashes.” In 2014, Loujain al-Hathloul was held for more than two months after she attempted to enter Saudi Arabia via car from the UAE. This is certainly a victory that should be celebrated. However, it bears repeating that even as Mohammed bin Salmon peels back some of Saudi Arabia’s draconian policies, the nation has miles to go in terms of women’s rights and, more broadly, human rights. ← BREAKING! Two earthquakes back-to-back hit Thessaloniki, Greece!